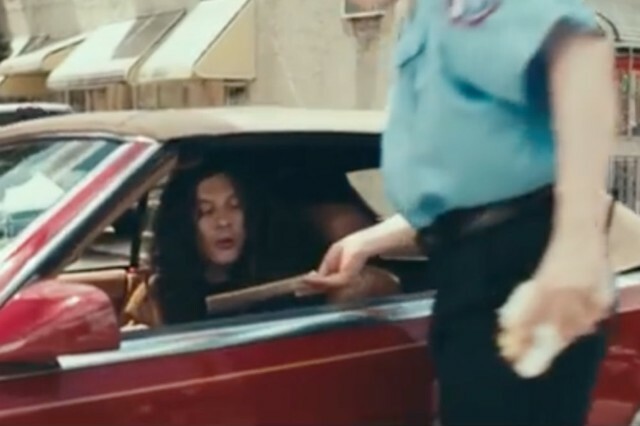 The video for Kurt Vile’s new single “Loading Zones” features the singer-songwriter waging a one-man parking war against his hometown of Philadelphia. Hapless meter maids played by Freaks and Geeks/Superbad actor Kevin Corrigan and Pissed Jeans singer Matt Korvette try to rein in the self-appointed childish prodigy to no avail. Corrigan pulls the ultimate Philly move of throwing a half-eaten hoagie a Vile’s car as he drives away, after obliviously mistaking a parking ticket for an autograph request. The clip was directed by Drew Saracco. Although Vile hasn’t announced anything in the way of a new album yet, the “Vile ’18” campaign signs teased by Matador back in April suggests that KV’s got something cooking. Well, something in addition to the extensive world tour he has planned for fall.